Circumstances: Between the 13th and 18th February 2006, John MORAN was driving his Motor Vehicle from Kalgoorlie to Menzies in WA when his car ran off the road and smashed into some trees. His vehicle was towed to a panel beaters where it is still remains today. On or about the 19th of February 2006 MORAN made contact with a family friend by telephone and there was an indication MORAN intended on traveling to Leonora. Family and Police hold concerns for MORAN'S welfare due to length of time missing and state of mind at time of going missing. Any information to Crime Stoppers is appreciated. Police are seeking help from the public to locate, missing person, John Joseph MORAN, who's last known contact was over seventeen months ago. 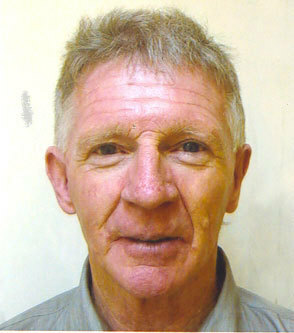 MORAN is a 70 year old Irish male who was last heard of by a family friend on the 18th of February 2006, when he called to tell them that he had ran off the road between Kalgoorlie and Menzies in his car and that his car was going to be towed and repaired in Menzies. To date, his car has not been recovered from the Menzies Towing Yard. Family members believe that MORAN intended on travelling to Leonara, however they were uncertain as to how he was going to get there without his vehicle.